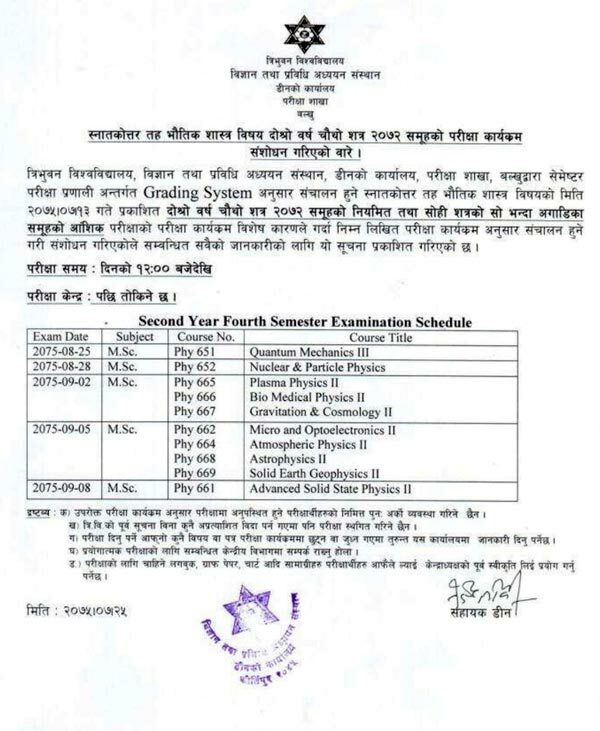 Tribhuvan University, Institute of Science and Technology(TUIoST) published amended examination routine of M.Sc. Physics Second Year Fourth Semester 2072. The examination for M. Sc Second Year Fourth Semester Examination is going to be held from Mangsir 25, 2075 (December 11, 2018).